Welcome to the team at Wrexham, Head Office. The original group of ladies have known each other for over 26 years. The team has now expanded as Rural Finance has grown. Liz has worked with Rural Finance since its inception. She is very involved with handicrafts and makes handmade birthday cards. Liz also loves all things Disney. Barbara has now worked for Rural Finance since it began. She loves walking in the countryside and is very involved in local charities. Debbie has also worked with Rural Finance since it began. She loves to socialise and is involved in organising local events. Marion enjoys gardening, looking after her grandchildren and prior to joining Rural Finance worked in Bank of America in the collections department for 13 years. 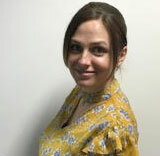 Sarah has previously in worked in insurance and finance. She has a 2 year old son and an 11 year old step son so she’s always on the go. She loves spending time with family and friends and going on holidays, eating and drinking. 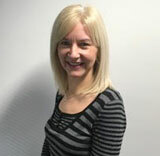 Karen previously worked for Lloyds Banking Group, the last twelve years of which were in the agricultural department. In her spare time she helps to run Wrexham Netball Club and also loves to travel and socialise. Helen’s background is in banking having worked in both the retail and agricultural sectors since leaving school. She loves yoga and pilates and in my spare time, enjoys cooking and baking. She’s also a big music fan and attends live concerts whenever she can. We handle all sorts of queries and problems and consider ourselves to be Agony Aunts!